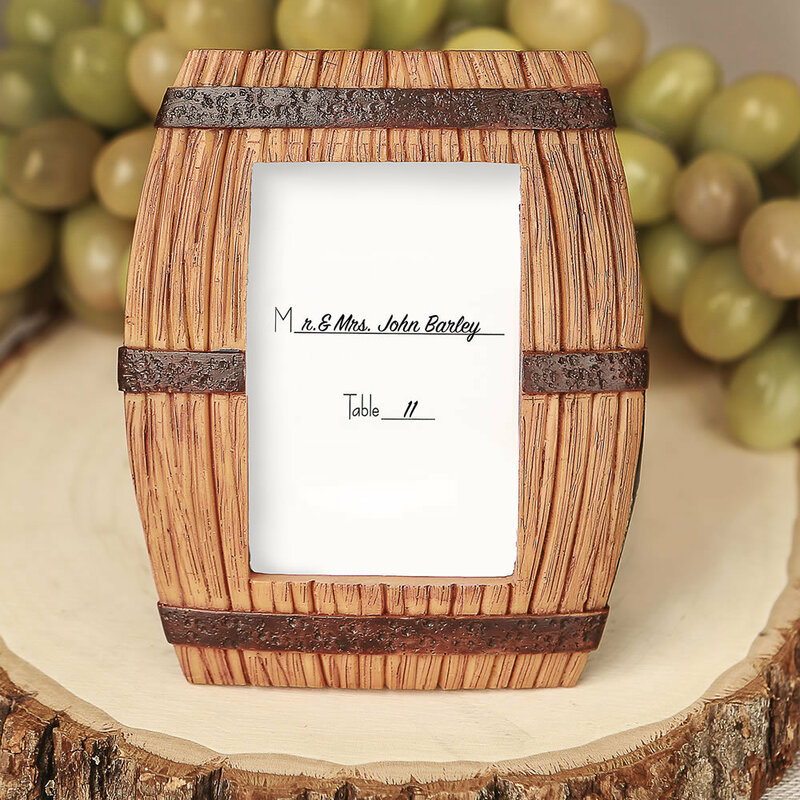 This stunning frame is made of poly resin in the shape of a wine barrel. It is hand painted to look like real wood and has hand painted antique rings going around the barrel. Get the great mood, wine and spirits flowing and a good time will be had by all! Blank place card is included to mark seating arrangements and guests can take the frames home to display a special photo of your wine-themed event. Size 4 1/4" x 3 5/8"
Picture size 2 7/8" x 2"